Mark the date on your calendar - March 2nd! 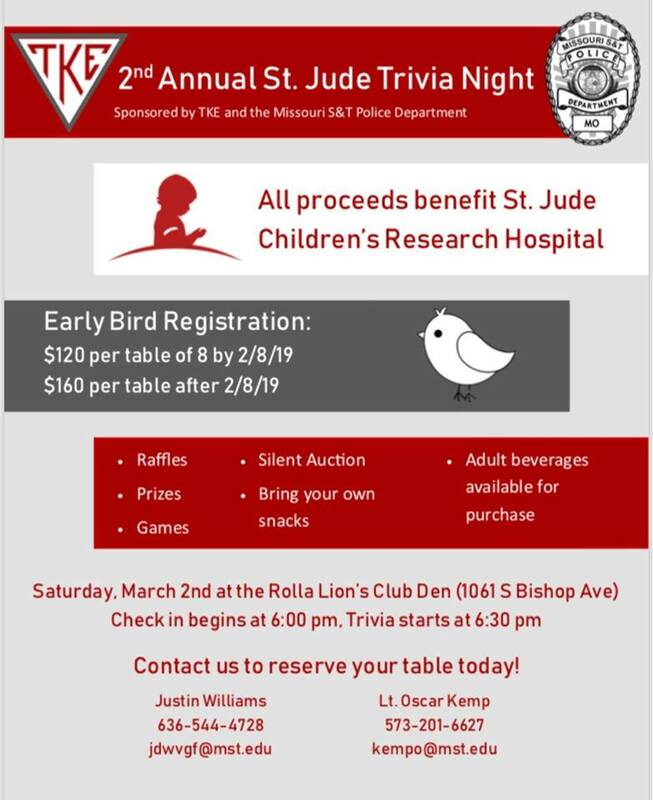 It's nearly time for BH TKE's second annual Trivia Night co-hosted with the University Police. If you purchase a table before February 8th, you'll get our early bird special for only $120 a table! If you want to sign up, just contact Justin Williams at jdwvgf@mst.edu or Liutenant Oscar Kemp at kempo@mst.edu.